Yet another in the plethora of phones ZTE has brought to MWC 2012, the ZTE Acqua is a fairly uninspiring entry-level Android. Is there anything that sets the handset apart from the pack? Can any of its decent-ish specs rescue it from smartphone obscurity? We swung by ZTE's stand to have a play and find out. The first thing you'll notice about the phone is the design (obviously). ZTE clearly fancies a bit of HTC's mega smartphone success and as such has borrowed elements of the HTC design language – well, you know what they say about imitation and flattery. Anyway, it may look a bit HTC-ish but it certainly doesn't feel it when you pick the handset up – these are clearly cheaper materials with plastic taking the place of aluminium and leaving it feeling quite cheap. The back panel has a vaguely interesting mesh effect to it which actually feels quite nice in the hand. Buttonwise, we're looking at soft buttons under the screen and a volume slider on the edge. It might be all right that the handset feels quite cheap – because, after all, it probably will be quite cheap. Serious smartphone fans will probably opt for a Samsung or HTC handset but the Acqua could be a good option for newcomers to the smartphone game. They probably won't be dismayed to discover that the ZTE Acqua is currently running Android 2.3 rather than the flavour du jour (Ice Cream Sandwich). But when ZTE announced the Acqua it promised ICS so it may be on its way. Powering that software is a 1GHz processor and it all shows up on a 4-inch screen. It's worth bearing in mind that just months ago those kind of specs would have got us all hot under the collar. Certainly the processor handled itself well during our brief time with the handset, although we'll reserve judgement for our full ZTE Acqua review. The screen is not quite as sharp as we'd like and, as usual for a ZTE handset, the Acqua suffers from an occasionally unresponsive screen. For the snap-happy, there's a 5MP camera with autofocus and flash about which we had no real complaints but no real love for either. 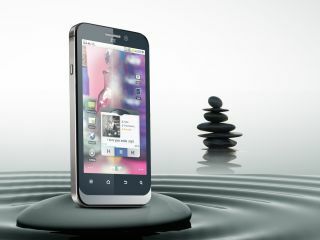 In the Acqua, ZTE has created an acceptable low-to-mid-range Android handset that seems fine to us at first play. We'd like to think this means it won't fare too badly in our full review but have the niggling suspicion that prolonged use will throw up unforeseen annoyances. We'll just have to find out: watch this space.